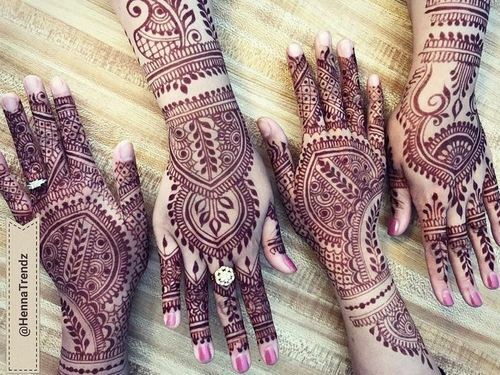 It’s been more then a decade when colorful henna designs gained popularity. But have you given it a try? 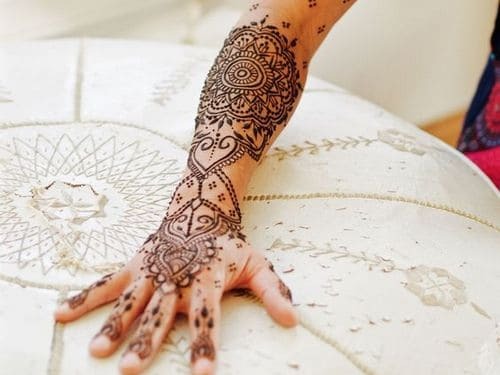 The first thing that comes to our mind is what’s white henna designs? 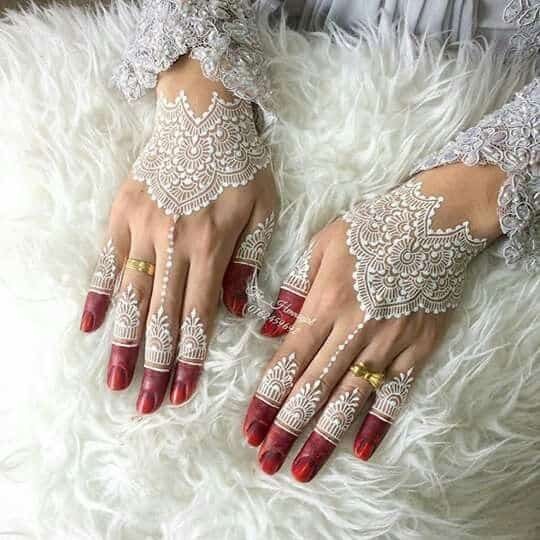 The white henna is far different from traditional henna which is a natural red dye and gives red color stain. So white henna is generally cosmetic pigments of white color which are safe on skin and can stay upto one week. 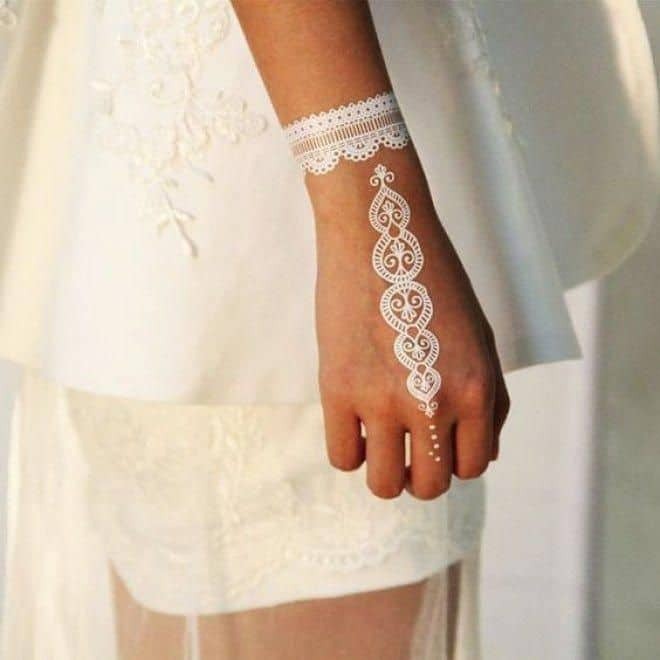 There are two ways of applying white henna, one is to use white henna cones and the other way is to opt for temporary white tattoos. But beware of harmful bleaching agents that can cause rashes and itchiness on your skin. 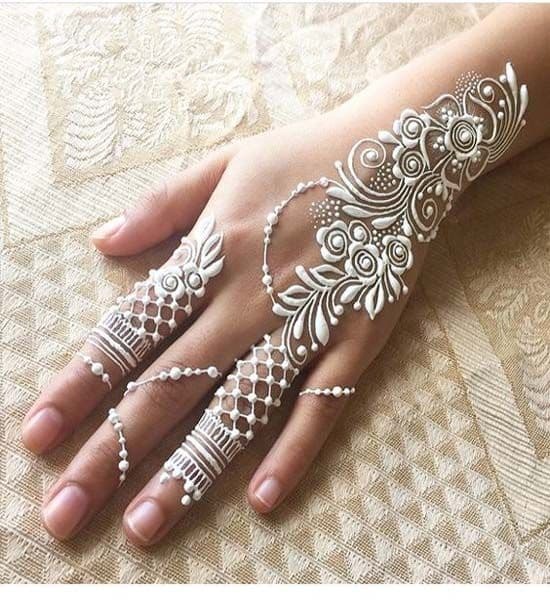 Our today’s post is all about henna designs which will inspire you to try these bright white henna designs. 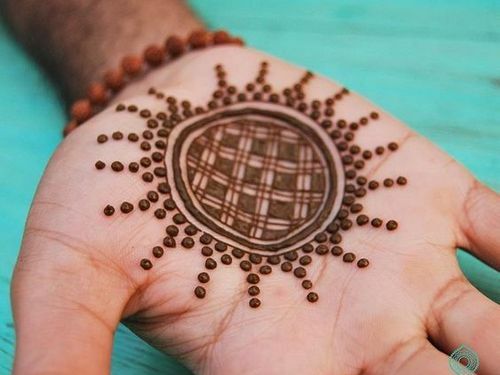 Whatever henna color you are giving a try, mandala mehndi art always creates the magic. 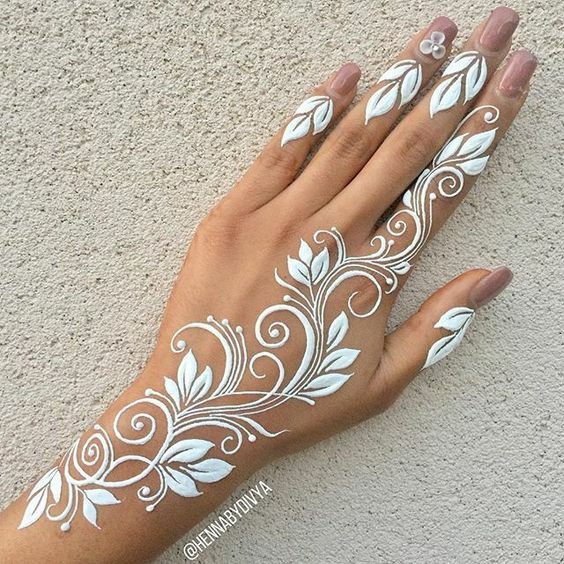 This white henna design can be easily carried as an everyday look. 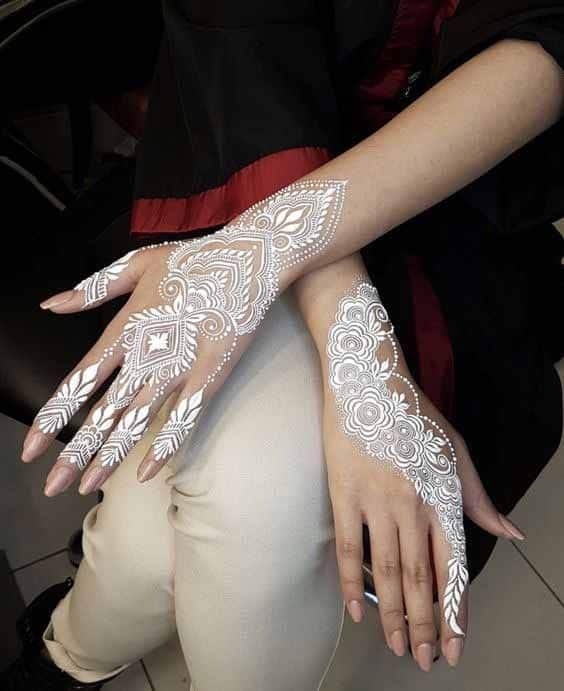 With white heena you can go as bold as you want. 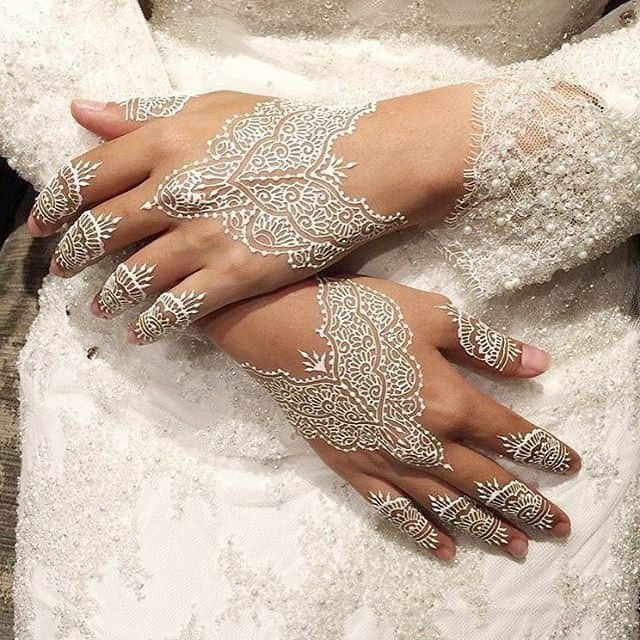 You can also flaunt thick bold arabic henna design with some pretty embellishments. Every girl loves pretty laces and the white lace henna design serves many purposes. This lacy white henna design makes the white gown look complete. This one is for ladies who pick unconventional over conventional things or whose heart skip beat for artistically beautiful things. 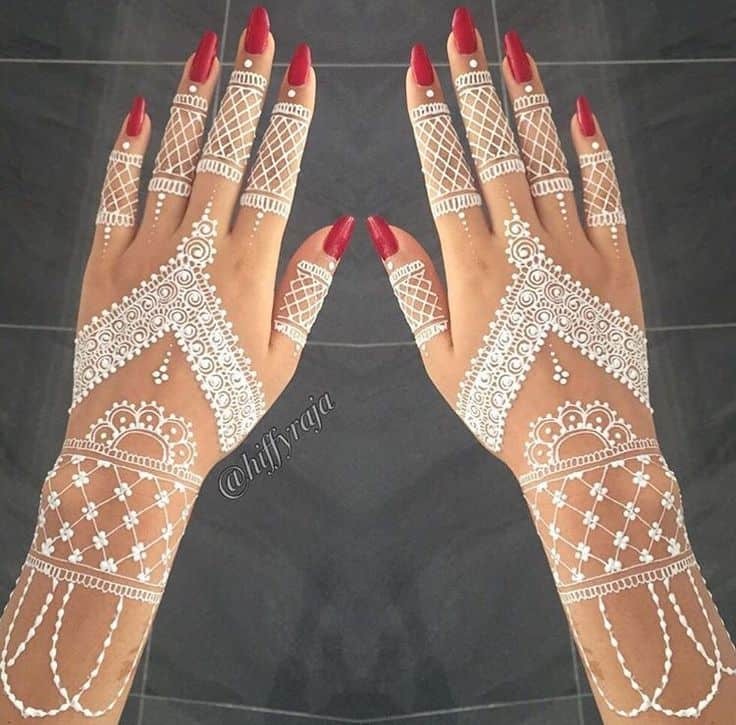 From fine mesh design in fingers to sleek chain design in wrist, everypart of this white henna design looks so amazing. Most of the decisions that we take in our life just comes from our heart. They can go right or wrong but they never bring regrets and always bring confidence of facing problems confidently. So why not go for the heart and show your brighter side. 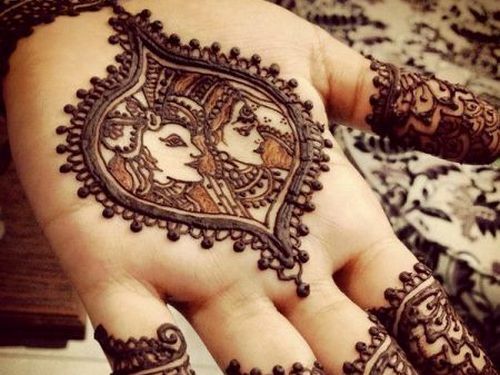 If you have strong affinity for details then this henna design will surely attract you. 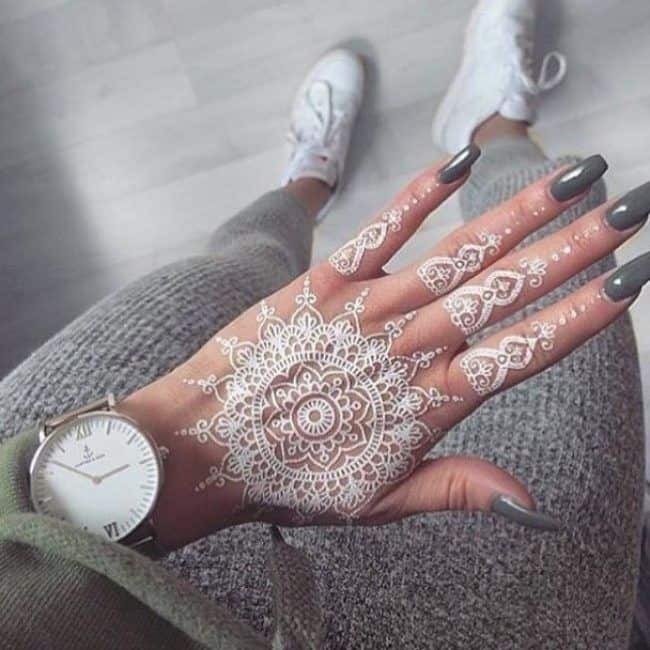 Even simple henna design can also add charm to your hands. Pair it up with silver hand acessories and glitter it up for an extra effort look. Be beach ready with this cute white henna design in feet. 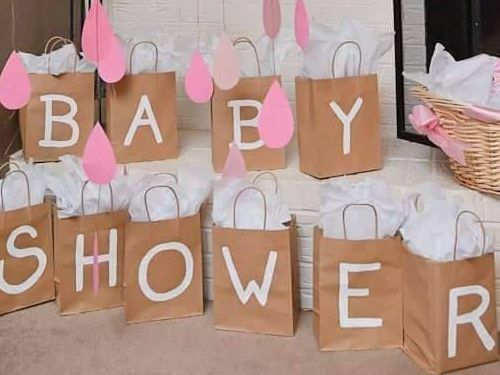 Don’t forget to add that cute little toe design too. 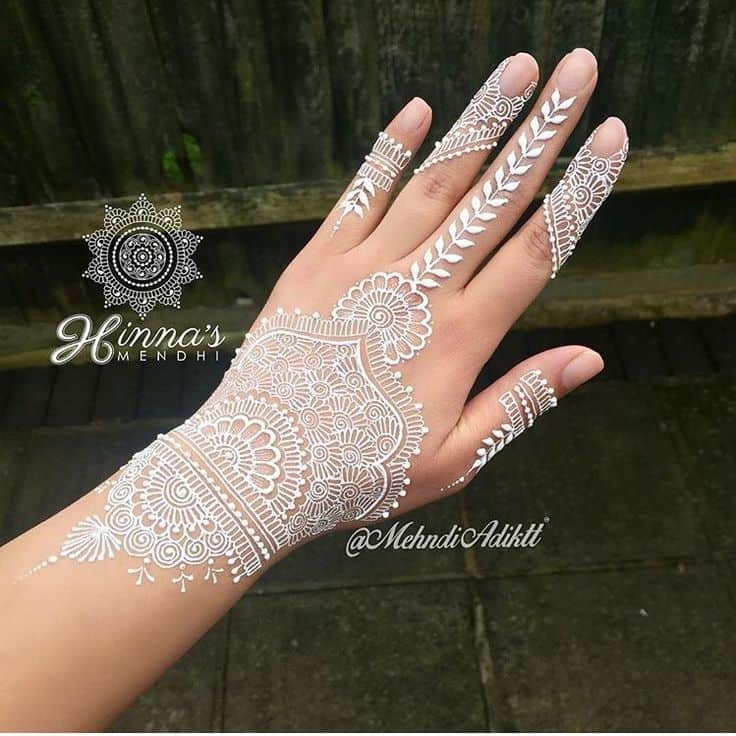 If you are thinking of creating some drama with your white henna design then try this all white henna design. And don’t forget to polish up your nails in white. White roses always creates an enchanting beauty and this design is a proof. 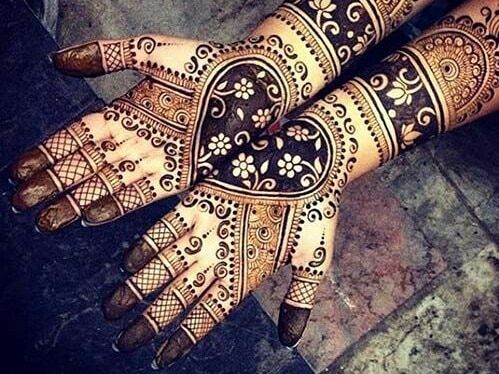 This design is surely going to mesmerise every henna lover. Give your henna design an extra dimension with tiny little dots. When you want to match up with your attire then you can create your own fine hand gloves with intricate patterns. For brides who love colors should definitely try this one. 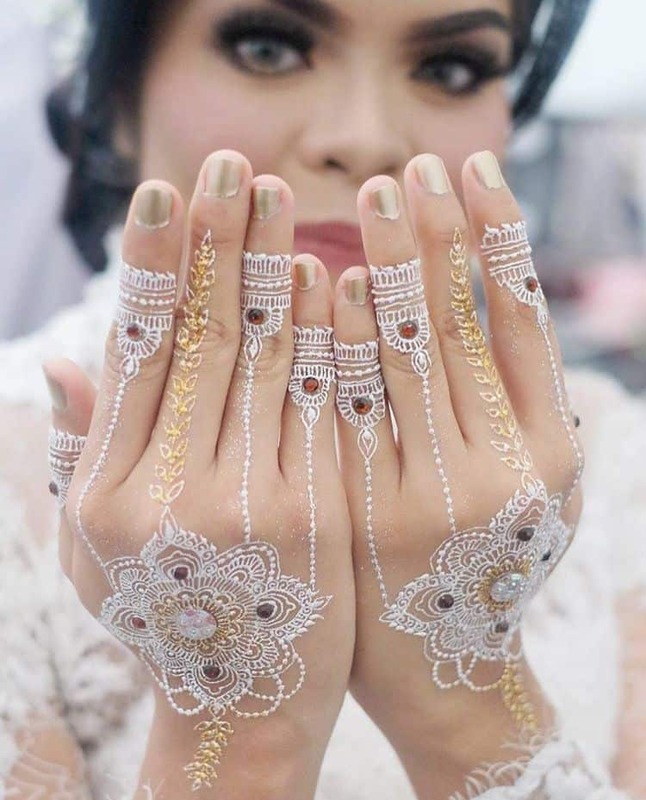 Make your white henna more colorful with golden glitters and red studs to complete your dream henna look. 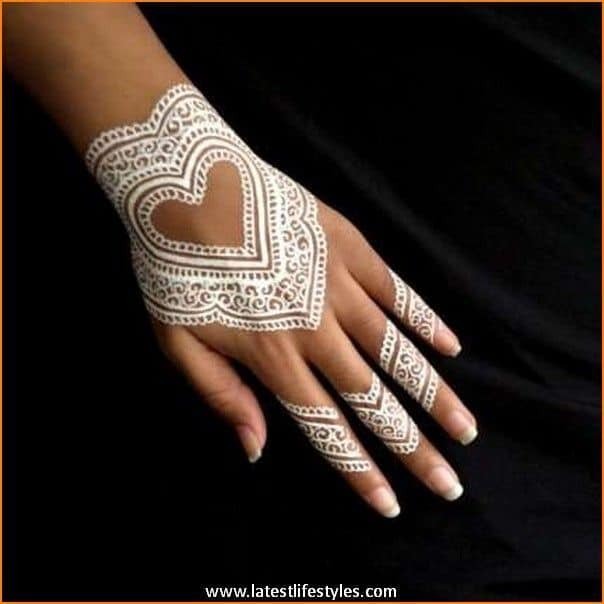 Even with white henna design you have endless option to try. You can try moroccan, gujrati or arabian style, every style looks beautiful in white. 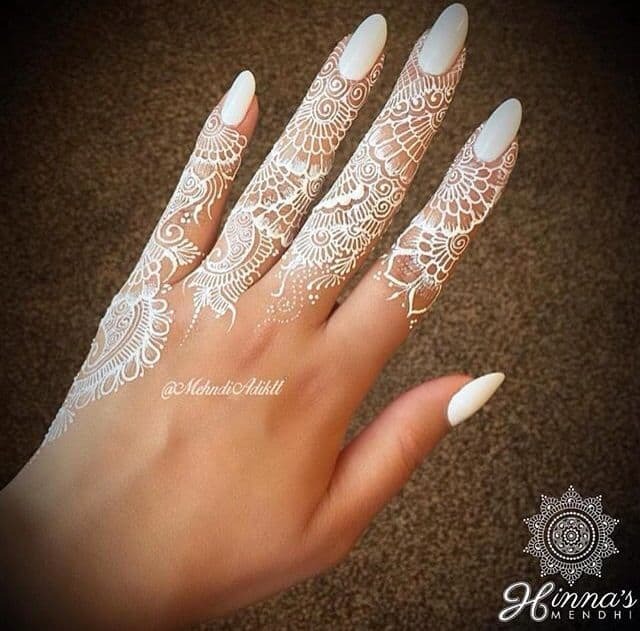 With white henna you can experiment with different nail laquers. You can try pastels, metallic or vibrant ones we promise you every color rocks with white. 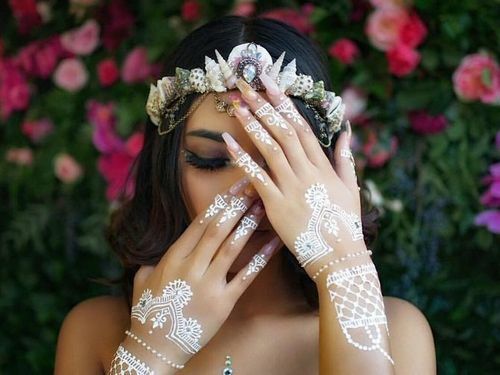 These are the 10 gorgeous white henna designs every henna lover should try.